The Acceleration Sensor, offered by us is procured from the reputed manufacturers having years of experience in the domain. Developed from components, our Acceleration Sensor offers high performance in every use. Applications in Wind farms, Offshore wind farms. We have reputed Merchant of Acceleration Sensors that are widely appreciated in the national market for its sophisticated design and technically advanced features. 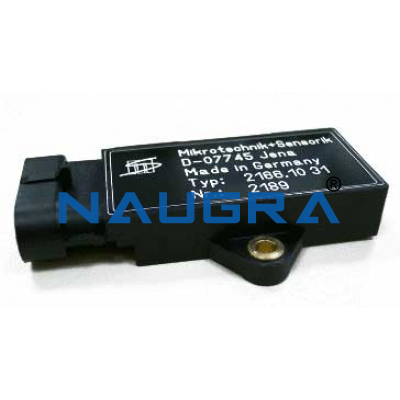 We are leading manufacturers, suppliers & exporters of Acceleration Sensor. Contact us to get high quality designed Acceleration Sensor for schools, colleges, universities, research labs, laboratories and various industries. We accept bulk orders for government tenders in all countries around the globe. For similar products visit at main page of Data Acquisition System.